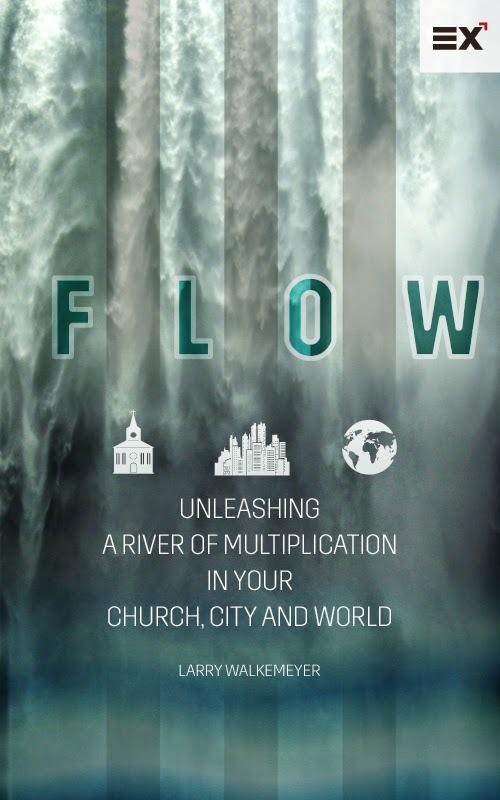 LarryWalkemeyer.com: "FLOW- Unleashing a River of Multiplication in Your Church, City and World"
"FLOW- Unleashing a River of Multiplication in Your Church, City and World"
Today my new eBook released through Exponential and I am honored that it is being electronically distributed to pastors around the world. "...At this juncture in 1998 my wife Deb and I decided to get away for our 20th anniversary to seek God. The new millennium, century and decade were knocking on the door of our church. We needed to know what to say when we opened the door. During those days away the Lord birthed a new vision into our minds. It was a concept we had never heard of, though it was not original to us. The vision was to stop becoming a “LAKE church” and instead become a “RIVER church”. To us a LAKE church meant a church where people flow in and stay. It seeks to get more and more people around one pastor in one place. A RIVER church was dynamically different. It was one where the people flow in but keep moving downstream. God takes them to other places to minister. The measurement becomes about “flow rate” instead “volume contained”, about “gallons per minute” instead of “gallons retained”. Such a message didn’t come out of nowhere. We had been praying about our next ministry move personally and for the church. I had been troubled listening to a mega-church pastor report on the several million dollars they were spending to deal with an environmental “bird problem” in their relocation effort. I had done the math in our own context. I knew to relocate in our general area to a facility that could support the next 30 years of growth would cost between 10 and 15 million dollars. In an urban poor congregation like ours that amount was astronomical. I began to ponder, “What could be accomplished if, instead of investing those huge dollars in buildings to “add”, we invested them in people so we could “multiply”? What would the kingdom impact be if we focused on raising up and releasing pastors, leaders and workers to start new churches?